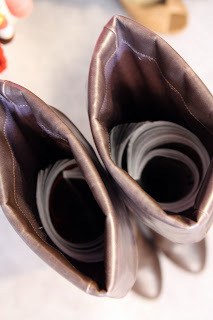 Stick old newspaper or magazines inside your boots when you store them. This will keep the tops from flopping over and adding unsightly creases to your boots. Fold your underpants and socks in a compact, yet practical way for storing in your wardrobe or packing your trip.